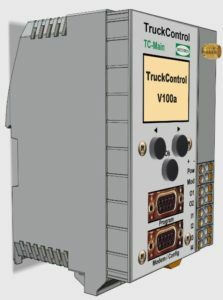 Theft Control System (SPD) for up to 48 sensor inputs and 20 sensor outputs including alarms in case of unauthorized manipulations and coded unloadings with data management program from the central office/headquarters. 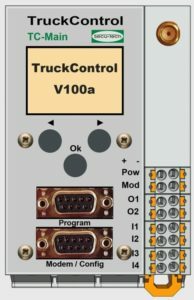 Internel based data management system with event log and digital map and alarm messages. The current measurements and settings of the tanker truck appears in red, yellow or green on the map. On the right hand side the latest event and the position of the tanker truck in real time is shown. If a tanker truck is near to a previously defined marker, this will also be visible on the map description. Alarms are automatically generated in case of wrong position or unauthorized access. Customer specific defined markers are displayed on the map. Markers can be gas stations, terminals and depots (loading bays), etc. Markers are shown at position on the digital map. The operator is immediately informed on which position the tanker-truck is at the moment located. Using the history mode: The entire event history of a specific tanker truck can be displayed in real time and location when the event happened on the map and in the graphic. 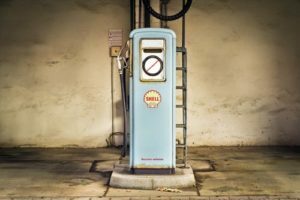 The user can look into the past for unautorised manipulations or the normal route of the tanker truck with date stamp position. The number of events which can be shown into the past has no limit. 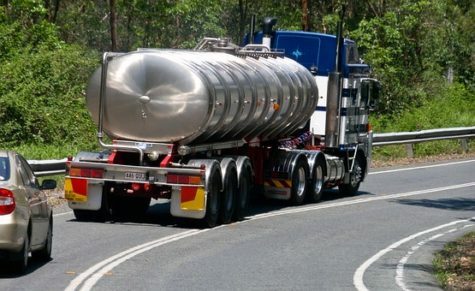 All tanker trucks which have been identified and integrated can be followed on the digital map in real-time and position. Tanker trucks which show problematic events appear in red and immediate email warnings are sent out to defined addresses. Offering users 24X7 awareness to the status of every truck.